It's been a big week for the London football scene with the top story undoubtedly being another Premier League title triumph for Chelsea, completed on Friday night at West Bromwich Albion. After the humiliation of finishing 10th last year, it has been quite an achievement by new boss Antonio Conte to win it with relative ease. Tottenham ended their time at White Hart Lane with a fine win over Manchester United on Sunday, a result which sees them guaranteed to finish second. 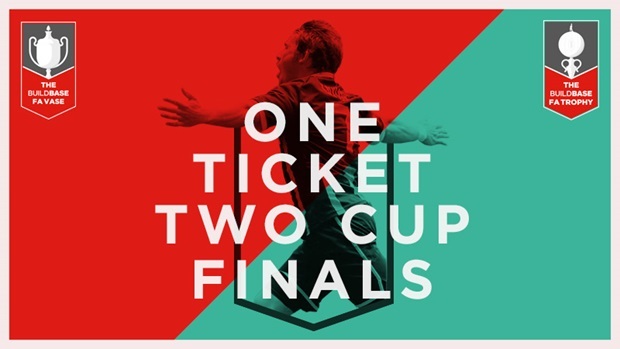 Non-League Finals Day takes place on Sunday at Wembley - get your tickets now!!! Arsenal are still outside the coveted top four places but go into their final two games with a fighting chance after stringing together three wins in seven days. At the other end, Crystal Palace ensured their survival in the top flight with an emphatic 4-0 win over Hull City who they relegated in the process. With Watford and West Ham also keeping their heads above water, there will be no London relegations this season. There is a chance there could be seven sides from the capital in the top flight next year as Fulham drew the first leg of their play-off with Reading 1-1 on Saturday. It's going to be tough at the Madejeski Stadium on Tuesday but it's wide open. From a personal perspective, the huge thing for me was the news that Harrow Borough had been reprieved from relegation! Having cruelly lost their Ryman League Premier Division status for the first time since the 1970s to a 98th-minute goal, it's a huge relief to know they'll be given another year in the seventh tier. Sadly it's come about because Worcester City of the National League North (Level 6) have voluntarily decided to drop down three divisions for financial reasons. It's a shame this once great club have had to do this. Also this week, we see the London Festival of Football Writing. Several events with some top authors (including Michael Cox who has been known to peruse these pages) will be taking place at Waterstones bookshop on Tottenham Court Road between 16-20 May. Tickets and full information can be found on their website. I'm going to the session which is taking place on the final night. After months of preparation and competition it's also time for Non-League Finals Day at Wembley on Sunday. The FA Vase and FA Trophy finals are played back-to-back and tickets are just £25 for adults and £1 U16s which is great value so I hope to see you there. I think I'm going in the section for Cleethorpes Town supporters. Lastly from me, I launched a new 'Books' section on TLFG during the week. There's a few relevant publications which I think are good and could be of interest to readers of this blog. It's not exhaustive by any means and I will add to it over the summer. There are only 12 matches, including two doubleheaders, in the London area over the next week with some crucial games in the Premier League, a play-off final and Non-League Finals Day among the highlights.